AP forbids use of term “Ground Zero Mosque” – Deutsche Bank and other buildings that surround Ground Zero | can i just finish my waffle? 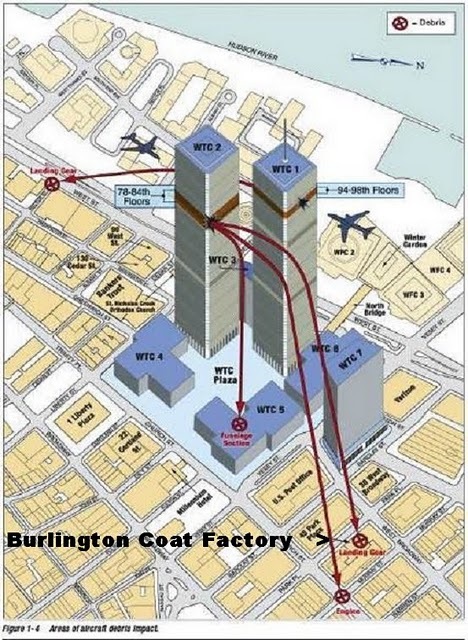 I thought I would post this illustration of how the landing gear of the plane that hit the south tower ended up on top of the Burlington Coat Factory Building, site of the proposed Obama Ground Zero Mosque. 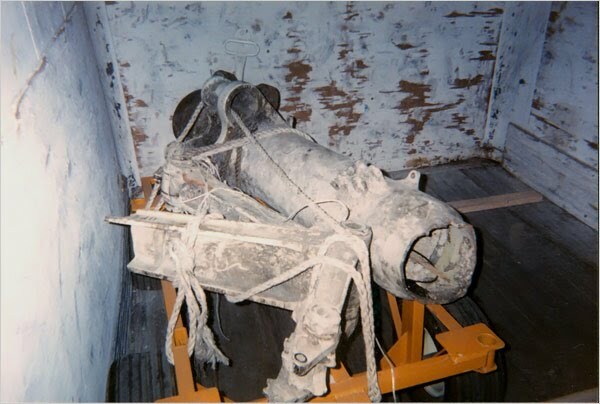 The top picture is the airplane part shown in an elevator, I think being removed from the building. It fell two floors down through the roof. 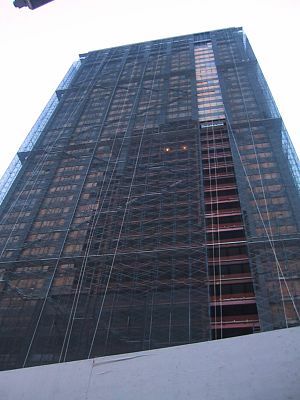 located just on the south side of the site, presumably from the south tower as it collapsed. Tombstone at Ground Zero, written in 2008, tells the saga of the building. I don’t believe it’s been demolished yet even after all these years. I’m glad I don’t live in NYC. It is not a safe place to be.